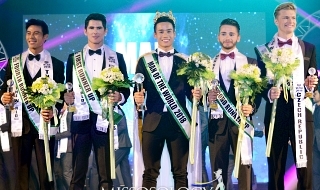 Welcome to the MISSOSOLOGY MALE PAGEANTS PREDICTION GAMES 2018! This season will run for the rest of the year. A new year has come and male prediction games is open again for its 8th year. So, are you ready for a yearlong battle? and be part of our HALL OF FAME? REGISTER by simply replying with you username and tag! Note that you have to register first before your entries be considered for scoring. 1. The season will run for the rest of the year. 2. Registration is only open until June 30, 2018 (11:59 PM PH Time). 3. Games played until July 31, 2018 will be counted as player's PRELIMINARY SCORE. 4. Only 60 players with highest preliminary score will move on to the next round. 5. After the preliminary, scores will be reset. 6. The remaining Top 60 players will play all the games to be included in the calendar until December. The player with the highest cumulative score at the end of the season will be declared as the "ULTIMATE MALE PAGEANT PREDICTIONIST of 2018". 1. Newbies are not allowed to join. 2. Participants with non-newbie tags should have at least 100 posts to qualify. 3. Participants should religiously follow and use the Official Entry Sheet. Any format other than the one posted will be disqualified. 4. In most cases, participants will be asked to write just the number or name of the country/state/region represented by the contestant. An entry will be disqualified if only the contestant's name is written. 5. In other cases, participants will be asked to write both the number or name of the country/state/region and name of the contestant. An entry will be disqualified if only the contestant's name (or the number) is written. 6. In cases where number/country/state/region and the name of the contestant are doubled in an entry, the entry will be disqualified. 7. In cases where the number/country/state/region and the name of the contestant don’t correspond to each other, the entry will be disqualified. 8. If participant has multiple entries, the latest one submitted/edited will be considered and scored. 9. While full efforts are being made to provide the complete list of the candidates in the official PG thread of a particular pageant before the thread will be posted, it is still responsibility of the players to do research for any changes in the line-up of the official candidates. In cases where new candidate/s is/are added and the player wants to include him in their list, just write directly the name or the number/country/state/region represented by the candidate. 10. Participants are NOT allowed to post images and pictures on their entries. Doing so will merit disqualification. 11. If a change in game format (Ex. From TOP 5 to TOP 3) is announced/made a week (7 days) before the finale, old format will merit disqualification. If the change in game format is announced/made less than a week (6 days below) old format will still be counted. 12. For BIG 5 Male Pageants PG, some special rules will apply. 1. To submit an entry, simply reply to the PG thread and follow the correct format. 2. The date of the pageant night will be provided on the PG. 3. If the date indicated in the PG thread is later than the actual pageant, the PG will be cancelled only if the correction hasn't been done at least 24 hours before the start of the pageant. 4. If the date indicated in the PG thread is earlier than the actual pageant, the PG will only be cancelled if the thread fails to be unlocked at least 24 hours before the actual start of the pageant. If it is locked only within 24 hours of the pageant start, the PG will not be cancelled. 5. A PG will be locked at 12 noon local time of the country where the pageant will be held. In case pageant will start an hour before or after 12 noon, the pageant will be locked at 06:00 local time. 6. Since the game master doesn't have the faculty to lock threads, all entries submitted/edited beyond the cut-off time will be disqualified. 7. No entries will be accepted after the PG thread is closed/locked. 8. The game master may accept entries through private message only if the thread was prematurely locked. Note that time stamp of private messages will be the basis for consideration. 1. A standard scoring system will be followed. YOU WILL AUTOMATICALLY GET A SCORE OF ZERO! 3.1 If the actual pageant chooses FEWER runners-up than the PG asks for, the additional runners-up from the PG entries will be disregarded. EXAMPLE: If the PG has 4 runners-up but the actual pageant has only 2 runners-up, then the 3rd and 4th runner-up in your PG list is omitted. 3.2 If the actual pageant chooses MORE runners-up than the PG asks for, the additional runners-up from the pageant will be disregarded. EXAMPLE: If the PG has 4 runners-up but the actual pageant has 5 runners-up, then the 5th runner-up from the pageant will not be counted. 3.3 If the PG asks for 4 runners-up but the actual pageant chooses only 2 runners-up and Rest of Top 5, then the points for the Rest of Top 5 will be applied. 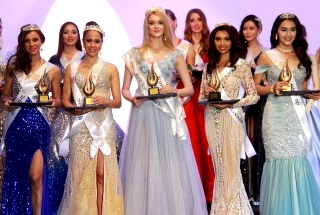 3.4 If the PG has Rest of Top 5 but the actual pageant has Rest of Top 7, then as we do not know which finalists placed 4th and 5th, we will treat all the remaining finalists as Rest of Top 5. EXAMPLE: If one of your Rest of Top 5 makes the actual Rest of Top 7, you'll get points for correct placement. If your winner/1st RU/2nd RU makes the actual Rest of Top 7, you'll get points for incorrect placement. 3.5 If the PG format includes one winner/title followed by runners-up but the actual pageant distributes multiple titles, then the second and third titles will correspond to the 1st and 2nd RUs in the PG and so on. In other words, the second highest placement in the pageant (regardless of whether it is a title or RU) will correspond to the second highest placement in the PG, and so on. 3.6 If the hierarchy of titles or RU positions is unclear, then their order of importance will be determined by the reverse order in which they are announced. 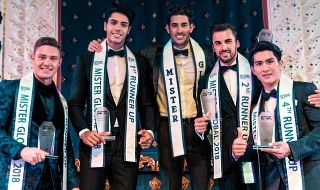 3.7 If the format of a pageant is completely different from the format of the PG, the Game Master will decide the score system format at his discretion. 1. PG results will be computed and tabulated by xis. It will be posted at least two days after the pageant was concluded. 2. An updated leaderboard will be posted after every 5 or more games. 3. For any discrepancies with your scores, you can post a reply in the result thread or send a private message to the game master. Last edited by xis on Mon Jan 22, 2018 7:59 pm, edited 1 time in total. 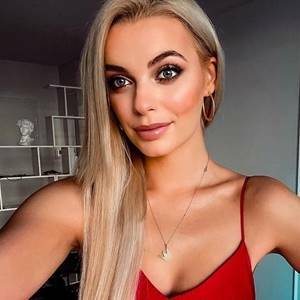 Last edited by xis on Fri Dec 14, 2018 10:35 pm, edited 162 times in total. Last edited by Virginia Dalisay on Tue Jan 23, 2018 3:42 pm, edited 2 times in total. Message: Live the Life you Love and Love the Life you Live. Last edited by pippo93 on Wed Jan 31, 2018 2:51 pm, edited 1 time in total. Last edited by Danieruw on Mon Mar 26, 2018 1:42 am, edited 2 times in total. Last edited by toshirochu on Mon Jan 29, 2018 1:17 am, edited 1 time in total. Favorite contestant: Aleksa Gavrilovic, Mister Universal Ambassador 2016. Last edited by novemberRain on Tue Mar 13, 2018 1:28 pm, edited 1 time in total.